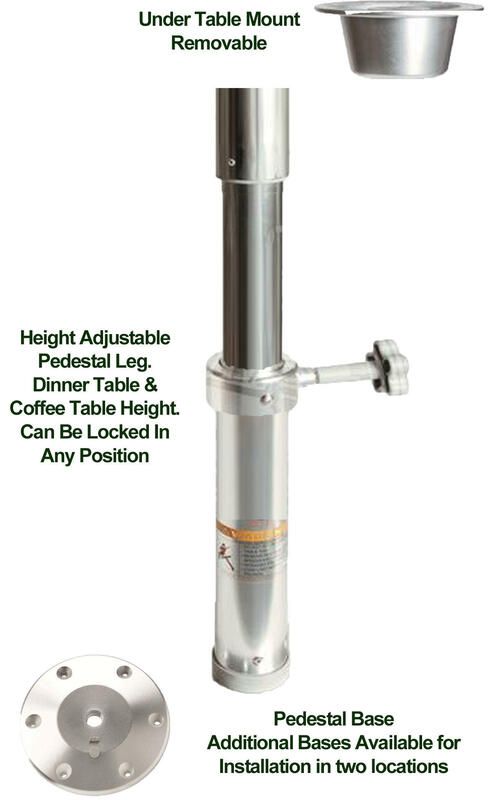 Perfect for areas where you need to remove the table to create more space, this adjustable height pedestal has a screwed ratchet system built into the base which makes an extremely secure mount. No large hole in deck needed! Please note this pedestal includes the detachable under table mount. This is a very secure mount for your new table and is supplied complete - just add a table of your choice. 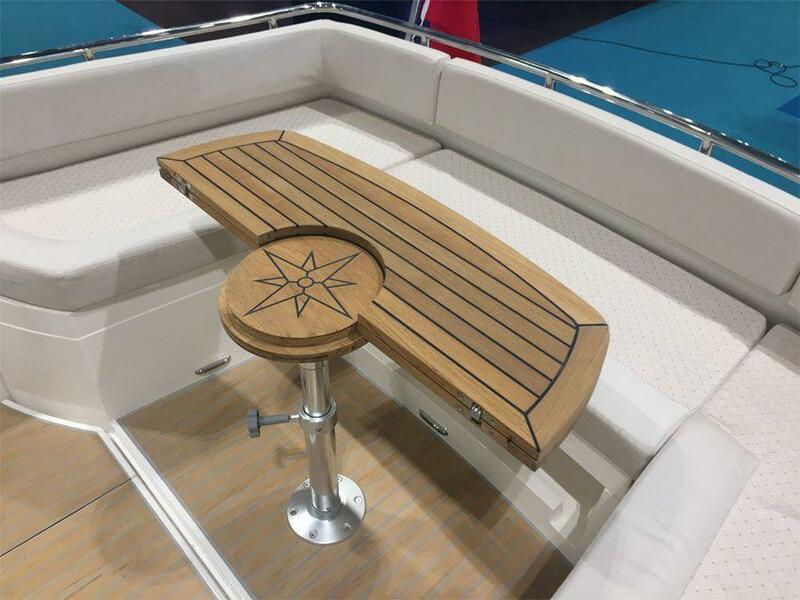 There is no need to drill into your deck (except for the mounting screws) and when the pole is removed, leaves a very small footprint which has been designed specifically for marine use and has rounded edges to ensure no damaged toes! 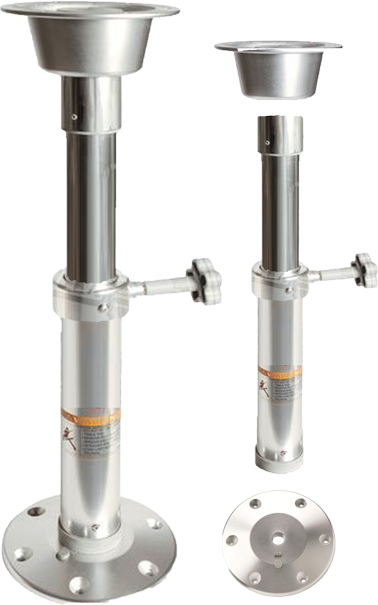 Manually height adjustable between 500mm and 700mm (19.68" & 27.56") and lockable at any height in-between. This pedestal is suitable for our complete range of tables up to and including our 1,000mm models. For tables over 1,000mm we recommend using two pedestals. 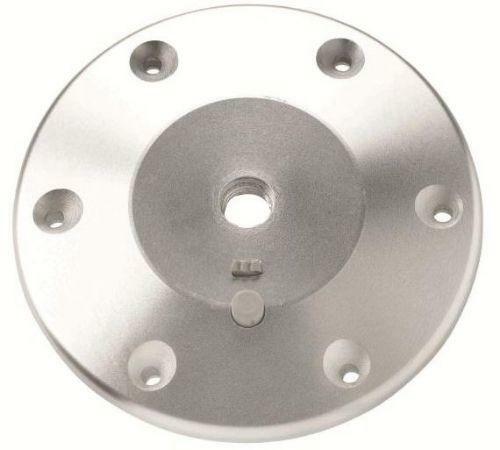 The pedestal is supplied complete - base, adjustable pedestal and under table mount. Mirror polished and anodized aluminium. Product exactly as promised, shipped quick internationally. Thanks! Very impressive service. Item was mailed right away and I had it two days later! Very prompt delivery, fitted a treat - well pleased. Great item, quick delivery, perfect. Love the table pedestal. Top notch quality, fast shipping, excellent seller! !